presently I have a 25 year old elan water cade softner. need to replace. what is the cost to replace with like produce. Me and my wife love our new system. Our water is noticeably better tasting and most importantly, feels great in the shower. Our pots and pans no longer have spots on them. And best of all, peace of mind when it comes to having clean water throughout the house. Thanks Kel Tren! I was very impressed with everyone from the company as they were all very helpful and were able to provide me with a system that best fit my needs. The installers were great and very helpful in going over the system and how everything works. They both did a very well done, clean install and you could tell they took pride in their work! 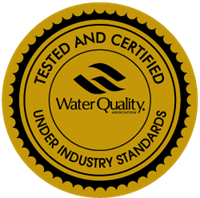 WaterCare has the best products and service that stands above all others. 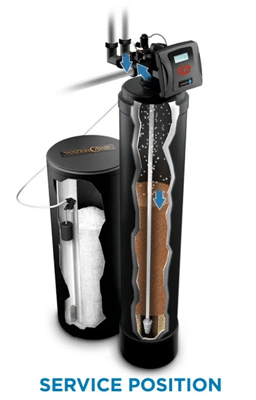 We had a WaterCare CareSoft Pro water softener installed in our home recently. The whole experience from the start was very easy I wish we had done this years ago. The system is working great and we love our new water. Quality American Made product with great electronic features. Leave a review for CareSoft Pro! Make unwanted minerals and hardness a thing of the past with the CareSoft Pro® series. This unit employs maximum efficiency while using less water and salt, making it specially designed to suit your lifestyle. Featuring our patented IQ2 technology, your WaterCare® dealer can tailor your CareSoft Pro® system to meet your household's specific water needs! 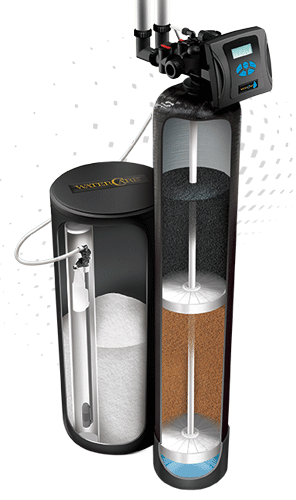 The CareSoft Pro® unit removes mineral buildup, foul tastes, and smelly odors all while reducing hardness, effectively improving your appliances' performance. 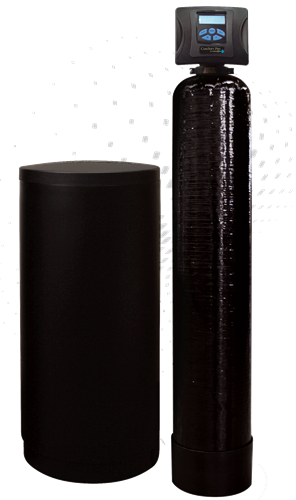 This system also minimizes water and salt use, which saves you money! This unit was designed with you in mind, as its advanced technology monitors your family's water usage and will self-adjust if necessary.